Four Russia gliders ready to soar. The 2019 soaring season is underway! Check the Club phone at 402-979-1140 for the latest information. Jaime Alexander learned on January 25, 2018 that he will be recognized at the upcoming SSA General Membership Meeting in Reno, as a Top Instructor in this Region! 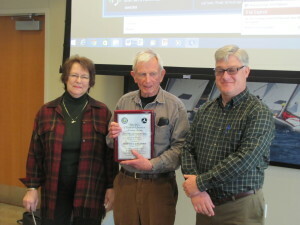 Jaime, a CFIG in the Omaha Soaring Club is a tireless advocate of the SSA “Badge” Program and this award recognizes Jaime’s contributions to the individual pilots, to the Club, to the SSA and to the culture of safe and rewarding soaring. Jaime has been so recognized in 2003, 2010 and 2015. Thank you, Jaime, and congratulations! Jaime Alexander received the distinguished master pilot award during the general membership meeting on February 24, 2015. The Wright Brothers Master Pilot Award recognizes pilots who have demonstrated professionalism, skill and aviation expertise by maintaining safe operations for 50 or more years. Jaime is a valued member of the club as well as a leader that has helped shape the club as it exists today. Kudos to the well deserved award and we look forward to your participation in club activities for many years to come! Experience the thrill of soaring! Do you want to learn to Fly? Glider flying is accessible to everyone. It is fun, challenging, rewarding, and provides a path for a lifetime of learning and self improvement through the study of aviation and the pilot, You! So what can I do to get started, or to at least explore whether I want to learn to fly. Step 1: Come out to visit during operations. Typically, the times and dates of operations will be posted on the front page of the web site for easy access. In addition, you can call some of the club members and ask questions, get information, learn what is involved to see whether this is something that might be for you. You can start with Bob, instructor, at 402-490-8360 or Whit, Instructor, at 402-679-1944. He may suggest additional contacts. Step 2: Sign up for the “FAST” package. FAST stands for Fly A Sailplane Today. 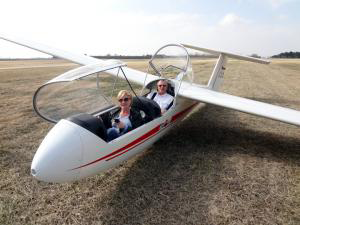 For $139, you receive two lessons with a certified flight instructor, a log book, a copy of “Everybody’s 1st Gliding Book”, and a three month membership in the Soaring Society of America. OK, I have done my two lessons and decided to continue lessons, now what? Step 3: Join the club. Joining the club requires filling out the information in the Membership Application, either online or by printing out a paper copy and bringing it to the airport during a club operation. Once a member, monthly dues are $35. You will pay as you go for tow charges and glider rental. Instruction is included at no additional charge. Copyright © Omaha Soaring. All rights reserved. | Designed by Blue Creek Technology, Inc.